As an all-round device, the P9 Plus is brilliant in many ways. At the same time, there's nothing about it that stands out from the competition, and the fact that it costs roughly £200 more than a OnePlus 3 is tough to fathom. Huawei is fast emerging as one of the most popular smartphone brands in the world. A lot of that notability is thanks to its budget sub-brand, Honor, which cranks out affordable but high-quality phones. Still, Huawei has done a lot of work on its own-brand phones too, with the P9 and P9 Plus arguably being its finest creations yet. We've already reviewed the regular P9, but now it's time to turn our attention to its big brother: the 5.5-inch P9 Plus. Don't let appearances fool you though. It's not just a slightly bigger version of the P9, it also has some extra features that help justify the climb in price. Is it the one to go for? It's probably no surprise to discover that the P9 Plus looks and feels like a bigger version of the Huawei P9. The metal frame is thin, with a brushed pattern which is coated with some kind of lacquer, giving the phone a slippery and glossy texture, rather than a soft-touch metal finish. Although the corners are almost square, the edges are slightly rounded to ensure the phone doesn't feel too uncomfortable in hand. And thanks to the slim bezel on the large 5.5-inch display, the phone doesn't feel overly huge - it's smaller than an iPhone 6S Plus in every dimension. But the shiny back doesn't exactly make it feel secure in hand. The P9 Plus's right edge plays home to the only buttons on the device: the volume rocker switch and the small, textured power/sleep button - which Huawei has seen fit to give a red trim on the Plus model. It's not a necessary distinction, but it's one we like. The USB Type-C port is on the bottom edge of the device, alongside the the 3.5mm audio jack and the loudspeaker which - similar to the HTC 10 - combines with a speaker in the earpiece to produce a stereo-like effect. This is just one of a handful of features that separates the P9 Plus from the regular model. Sadly, its effect is minimal. When the bottom speaker is covered there's nowhere near enough audio power from the speaker in the earpiece. On its own, it's very muted, and when the bottom speaker is playing it's completely overpowered, which negates the purpose of them both playing together. One other difference is the inclusion of an IR blaster on the top edge which works in conjunction with the smart controller app to control your TV, Blu-ray player, set-top box and other media peripherals. All in all it's an attractive device. It may not have an overly exciting aesthetic, but it's pretty elegant nonetheless. The Plus's 5.5-inch Full HD display is big, bright and sharp - although that 1920 x 1080 resolution means it's not the most pixel dense on the market, meaning the level of detail isn't quite as sharp or smooth as you can get on a higher-resolution panel. It is AMOLED-based technology, too, which means colours are vibrant and contrast levels are superb. Blacks are incredibly dark, giving the screen a punchiness you don't get from an LCD panel. It's not perfect though. At certain angles, the screen colour seems to alter colour slightly - with whites appearing a little blue or pink. In the past, Huawei's EMUI software running on top of Android has been the one major downside of any experience with the company's smartphones. But although it's not perfect, things do seem to be getting better. Albeit slowly. We've covered most of it in our Huawei P9 review, so we'll focus mostly on the differences in this review. The one element that does take some getting used to is the pressure sensitivity of the P9 Plus's touchscreen, which the company calls "Press Touch". Like the iPhone 6s/6s Plus, the Plus has added software tweaks that activate when the screen is pressed harder. Specific default apps on the home screen have shortcuts that can be accessed this way. Pressing hard reveals a pop-up list of shortcuts for apps like the Camera, Settings and Messages (among other pre-installed programmes). Pressing harder again quickly activates whichever function is starred on that list. It's like levels of pressure sensitivity - and can even be used to magnify details in a photo, if you're using the pre-installed Gallery app. The other issue with these Press Touch features is that they're not easy to remember to use. Some of the shortcuts are no quicker than just dropping down the notification shade, or launching an app. So they're arguably superfluous. The Huawei P9 Plus is one of the smoothest and most responsive phones we've tested. Everything from launching apps and browsing the web, through to the transition animations when opening up folders or dropping down the notification shade from the top - it's all free of stutter or delay. In our testing we didn't have a single instance of delay in loading content or games. This is thanks to the built-in Kirin 955 processor combined with a generous 4GB RAM. That combination ensures there's both adequate memory for running apps and a fast processor which is capable of translating all processes and data quickly. Since this is the Plus model, it also means you get 64GB of built-in storage as standard - which should be plenty for all your photos and other media. But if you do require more, the SIM tray also has a slot for a microSD card to supports expansion up to an extra 256GB. The 3,400mAh battery inside the P9 Plus finds one full day of use no problem whatsoever. There are a couple of reasons for this. Firstly, there's Android Marshmallow's own Doze feature which kills excessive background activity when the phone is in standby. Then there's Huawei's own battery optimisation which can kill apps if they're using excessive amounts of power. However, Huawei's optimisation means, initially, you do have to check through the list of apps that are allowed background use - otherwise it might kill an app or a feature that you need. Apps like Strava that track your runs/bike rides, or smartwatch apps that push information to your wearable, for example. In our testing, and without a smartwatch connected, we managed to get through two work days use on a single charge. And what's even greater is that the P9 Plus comes with a rapid charging wall adapter (it delivers similar wattage to Quick Charge 3.0), so you can top it up again in no time once depleted. Around 40 per cent in half an hour isn't bad, eh? 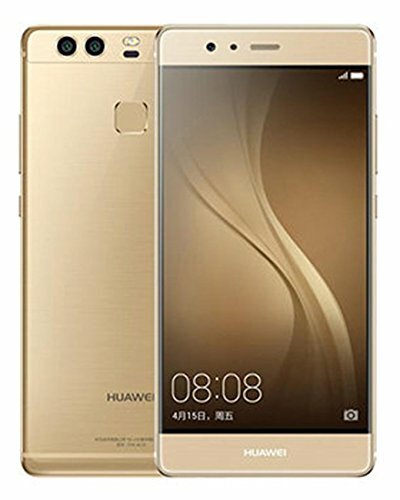 With the Huawei P9, the Chinese tech giant introduced an interesting dual camera setup in partnership with Leica. In basic terms, it's a couple of 12-megapixel sensors, one colour, one monochrome, which can also act together for post-shooting depth of field effects. Like the P9, we found ourselves drawn to the monochrome sensor because it creates some fantastic black and white shots - because of the way the sensor works they look better than if they're shot on a colour sensor and converted to B&W afterwards. As with many camera apps these days, there's a superb array of different capture modes. You can shoot slow-motion video, timelapse video and panorama photos as well as dedicated low-light modes like night shot and light painting. Quality-wise, as we've mentioned with the P9 previously, the camera isn't quite up there with the likes of the Samsung Galaxy S7/S7 Edge, but it is a wonderful and interesting camera capable of producing great images. For a more in-depth look at the camera, be sure to check out our original Huawei P9 review. So P9 or P9 Plus? Well, the Plus offers a slightly larger screen with "Press Touch" technology, plus better battery life and 64GB on-board storage for its £500 asking price (making it about £100 more than the standard P9). Otherwise features are largely similar, with both phones featuring the defining dual camera - which deserves high praise for the most part. Its controls are intuitive, making it easy to fine-tune your shots, the performance is very reliable, while the monochrome sensor is a quirky addition. However, the overall software experience is an acquired taste. We're still far from being fully sold on Huawei's "EMUI" - but it is possible to download launchers to customise the way it looks to soften the blow. Going some way to counter its downsides is an excellent fingerprint scanner, which is among the fastest and most accurate going. As an all-round device, the Huawei P9 Plus is brilliant in many ways. In the same breath, however, there's nothing to help it truly stand out from the competition.